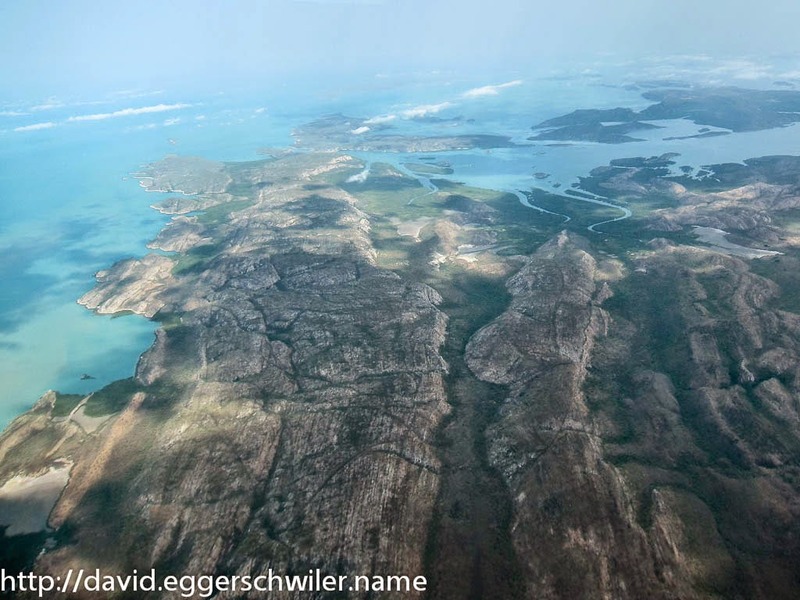 Scuba Diving the Rowley Shoals brought me to Broome, the South-Western gate to the stunning Kimberley region, at the start of the Wet Season. This means that both temperatures and humidity were on the incline and not many tourists are left in the area. 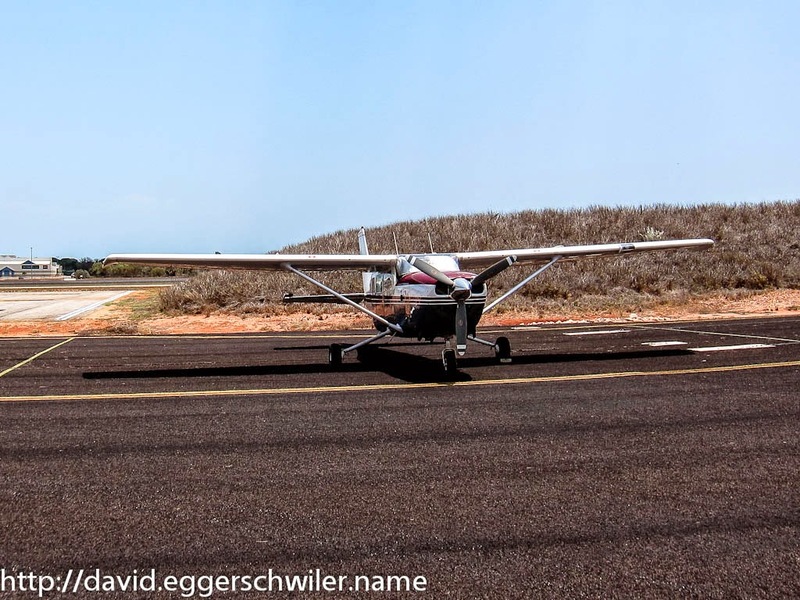 Unfortunately, this also meant that most of the tour organizations had already closed for the season, so all that was left to do was a flight with King Leopold Air on a small plane over the Southern Kimberley region. Rather than sitting around and sweating all day long, I decided to go along with it. From the plane we had some amazing views over the Broome region, which got more and more deserted the farther North-East we flew. 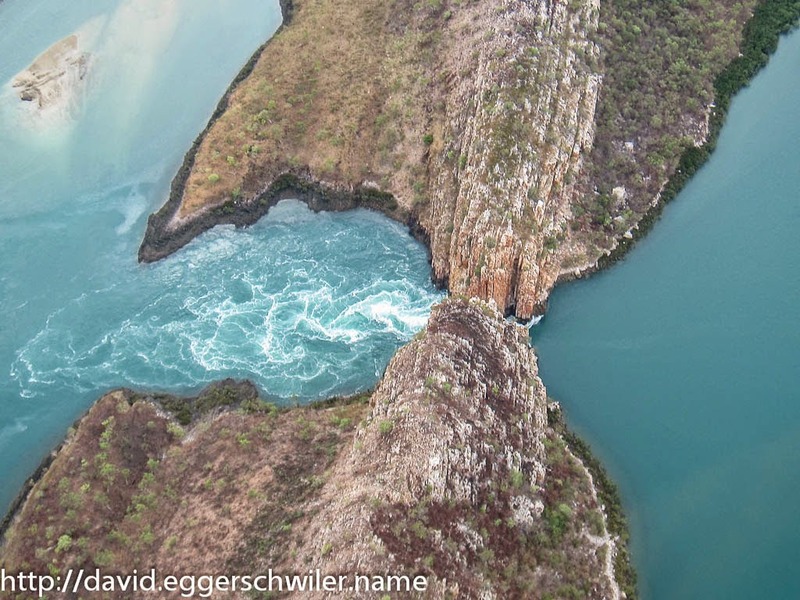 The goal of this trip were the horizontal waterfalls. 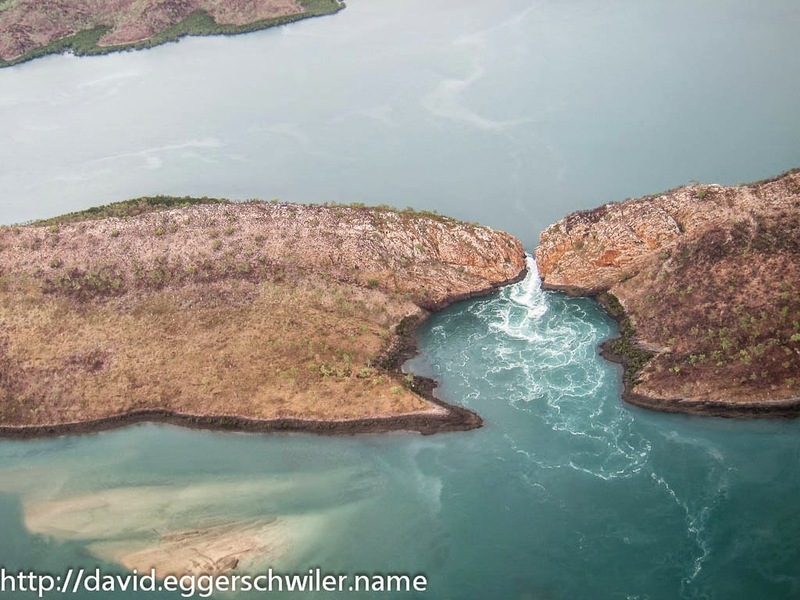 Due to the enormous tides in the Kimberley region, the water streaming through two narrow channels looks a bit like a waterfall. A truly bizarre sight! 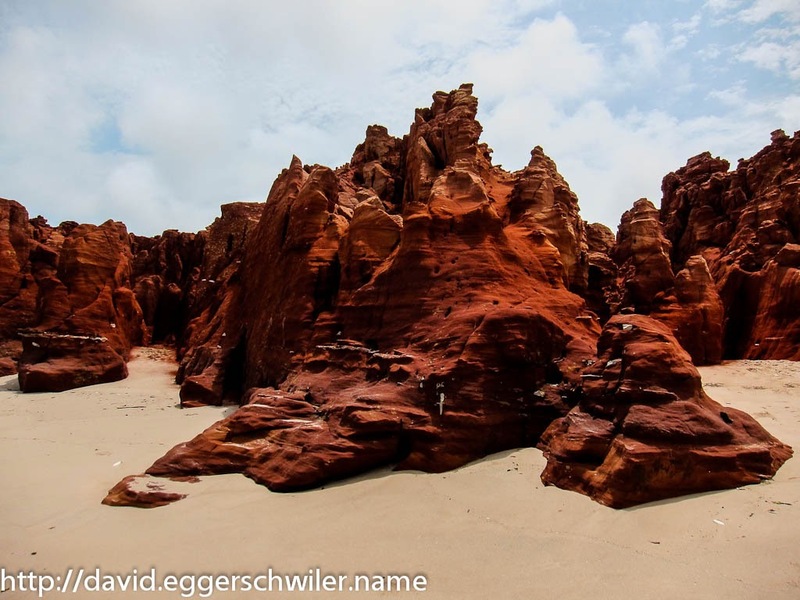 Flying back along the coastline we made a snack-stop at Cape Leveque, where we had time to admire the beautiful red cliffs and go for a quick swim in the ocean. In between those two activities I also managed to find a Geocache ;). 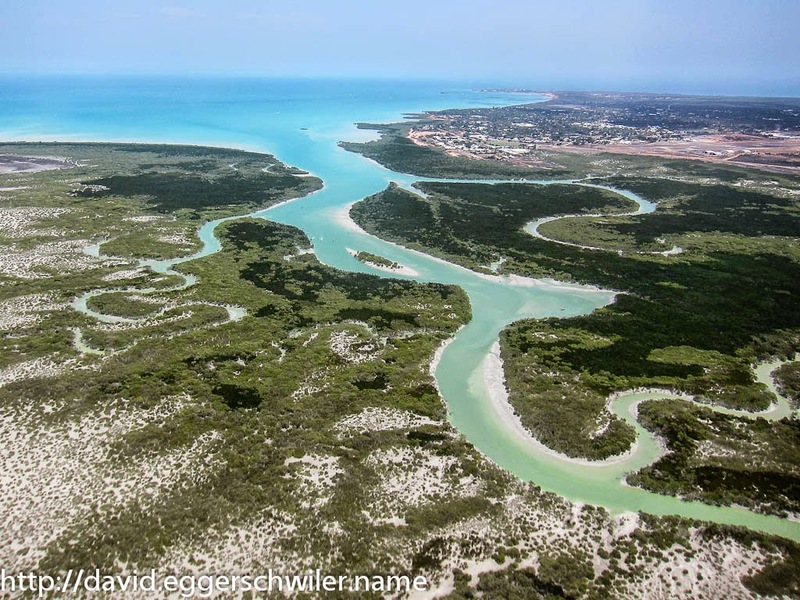 Further following the coastline we saw beautiful scenery, until we finally reached Broome again. This excursion was definitely worth it :). Coming back from Rowley Shoals coincided with a day with very low tides. That was important to see one of the other highlights of Broome. 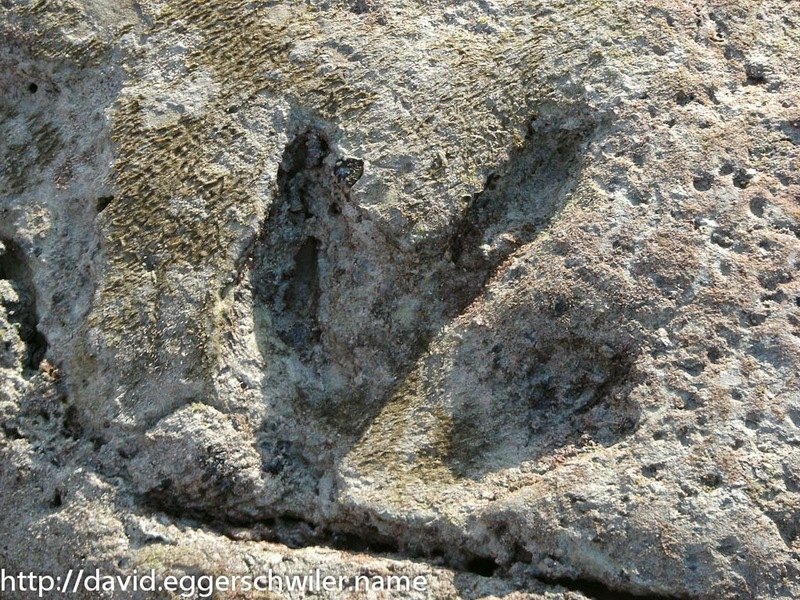 Ancient Dinosaur footprints! They don't seem so big in the picture, but they were longer than my foot! From that position I could also enjoy another beautiful view of Broome's intriguing coastline. 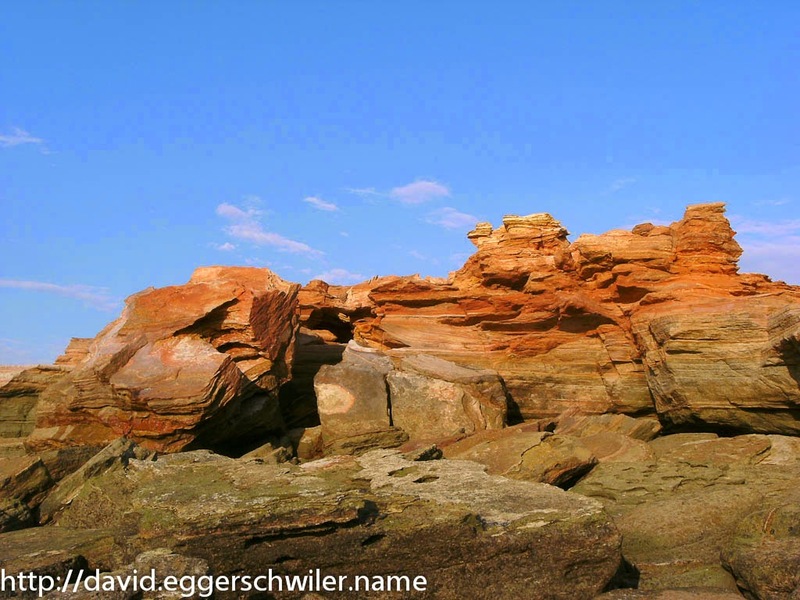 More pictures from the Broome area can be found in my web album.